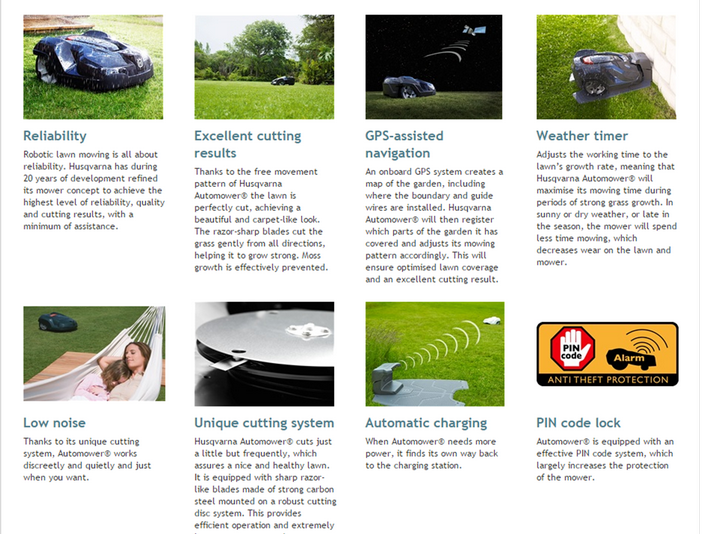 Husqvarna has been perfecting the Automower since 1995 and it is so good now that if you have a a lawn between 500 and 6,000 sq.m. and up to a 45% slope - you may never have to mow your lawn again! You can imagine the Husqvarna Automower as being a mechanical sheep that constantly automatically grazes your lawn, day or night, silently, and automatically finds its way back to its garage to charge up its battery when needed.